Since its merger with Vodafone India, Idea Cellular has been sensibly introduced new tariff plans every now and then. 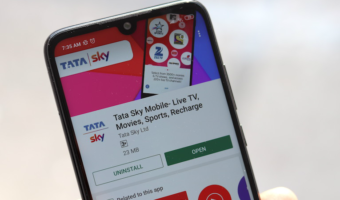 Recently, the telco launched the Rs 189 prepaid recharge, and now to unify its tariff lineup with Vodafone, the telco has unveiled a Rs 499 prepaid plan. 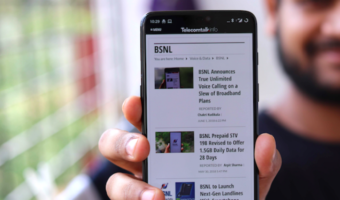 This plan is in line with Vodafone’s Rs 511 prepaid recharge which provides 2GB data per day, unlimited voice calls and 100 SMS per day for a period of 84 days. 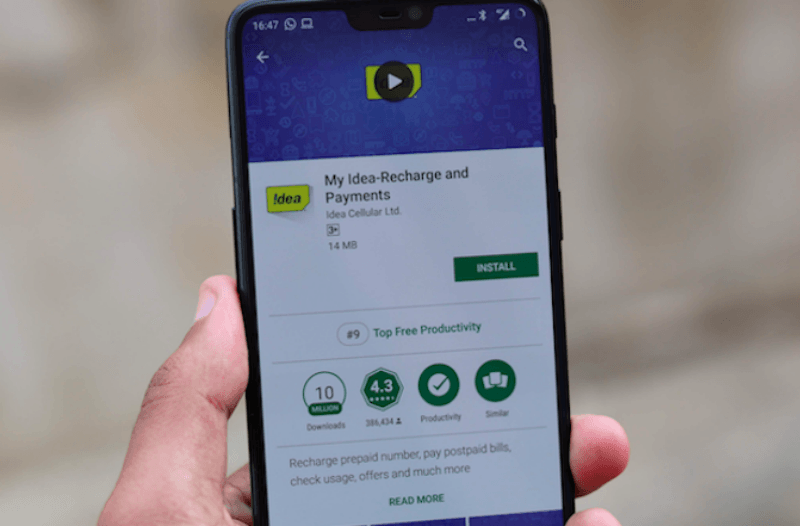 The Rs 499 recharge from Idea Cellular offers similar benefits but for 82 days, two days short of Vodafone’s Rs 511 recharge. In addition, it’s an open market plan valid across the country in all the 22 telecom circles. With this plan, Idea takes on Reliance Jio’s Rs 498 prepaid plan which is also shipping 2GB data per day for 91 days. The Rs 499 plan of Idea Cellular gives 2GB of 4G/3G/2G data per day, post which data charges of 4 paise per 10KB will be applicable. It also comes with unlimited voice calling benefit. Customers using more than 250 outgoing minutes in a day will be charged at one paise per second for the rest of the day. Also, for customers using more than 1000 minutes in a period of seven days will be charged at one paise per second for the rest of seven day period. Also, customers can make outgoing voice calls to only 100 unique numbers in any period of seven consecutive days, after that the charges of one paise per second will be applicable for the rest of validity of recharge. Furthermore, free roaming benefit can be availed in national roaming only on Idea network, not on other networks. SMS benefits for this plan include 100 SMS per day and after that, Idea will charge Re 1 or Re 1.5 for local and national SMS. As noted, this plan from Idea is valid across various circles and can be recharged through the company’s website or any other recharge portal. This new plan is part of Idea’s Unlimited Recharge portfolio, which was introduced to take on Reliance Jio’s unlimited combo plans. For the unaware, the Rs 499 prepaid plan was first introduced by Bharti Airtel a few months ago with similar benefits on offer. But Airtel is offering truly unlimited data and voice calls. For example, users will get 128 Kbps of after FUP speed post the consumption of 2GB daily benefit, while the voice calls don’t come with any limit of 250 minutes per week. Airtel’s Rs 499 prepaid plan is an open market one, like the Airtel’s Rs 499 plan. With this plan, Idea Cellular brings down the value of per GB to Rs 3.04, which is not the lowest in the industry, but it’s on par with rival telecom operators. Idea Cellular is yet to introduce the Rs 558 tariff plan which Airtel and Vodafone are offering for quite some time now. Does idea have 4G services on highways and rail routes ? I dont think so, they r the worst network out there even bsnl mtnl hv better voice coverage. They shld b sold to airtel or jio soon they will b better utilised there. Only idea vodafone fanboys n recharge point shop boys r being over optimistic here, everyone else r being realistic here. I have gone on entire Gujarat-Mumbai Highway, MP-Gujarat Highway, MP-Maharashtra Highway – no such coverage issues. Only Chattisgarh-Odisha route has some issues, and Airtel is also not very good there. Why do you keep lying AU? Many users already posted that VOID issue has to do with speed and not coverage! Kaushik IMA y do u act as a unpaid fanboy of vodafone everywhere ? Many users hv posted tht vodafone idea dont hv voice coverage only leave data. Ppl who travel a lot dont trust idea vodafone with there patchy and unusable data network. VOID combined network is better than Airtel. I know it too, I use Airtel as well as Vodafone. Your PERSONAL and likely untrue opinion does not change facts.